All antennas up in the air. All antennas are up. 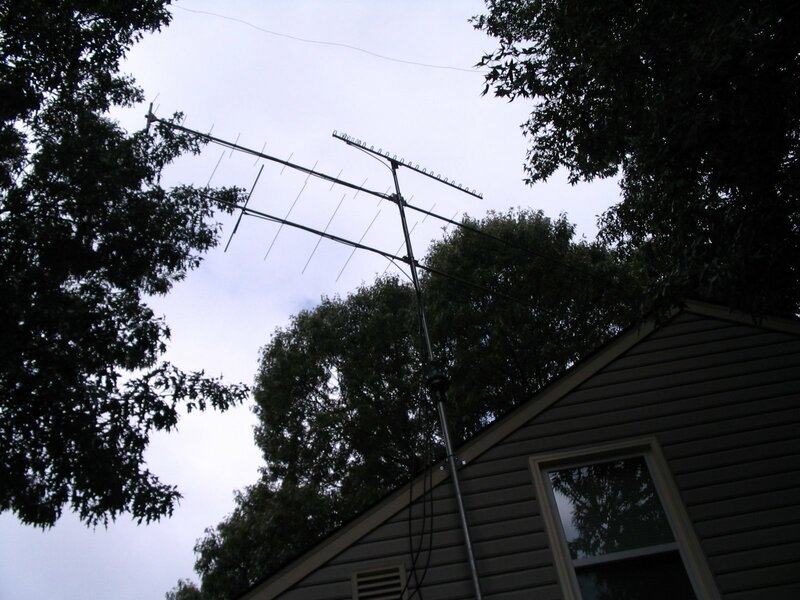 I now have 11 elements on 2m, 22 elements on 70cm, and 25 elements on 23 cm. I was able to trim a couple of branches out of the nearby tree and now my antennas swing nearly free through space. I've also noted that the only clear shot that isn't through the trees is towards the south-east. That should make it interesting during today's UHF Contest. But it also is encouraging for checking into the 70cm East Coast Net.